ItemD-09904 - "Monster 1900 class; Canadian Pacific Railway passenger engine." ItemD-09932 - Camille Mather, former C.C.F. MLA for Delta. ItemE-01528 - James Wilson; sanitary inspector; Victoria. ItemH-01764 - John Perry collection. ItemD-05257 - Funeral at Ross Bay Cemetery, Victoria. ItemD-05258 - Pandora Avenue; looking east from Quadra Street; photo taken from the top of the Methodist church at the southeast corner of Quadra and Pandora; Victoria. ItemD-05263 - The explorer Vitus Jonassen Bering. ItemH-01373 - Duncan BC, near the bridge. 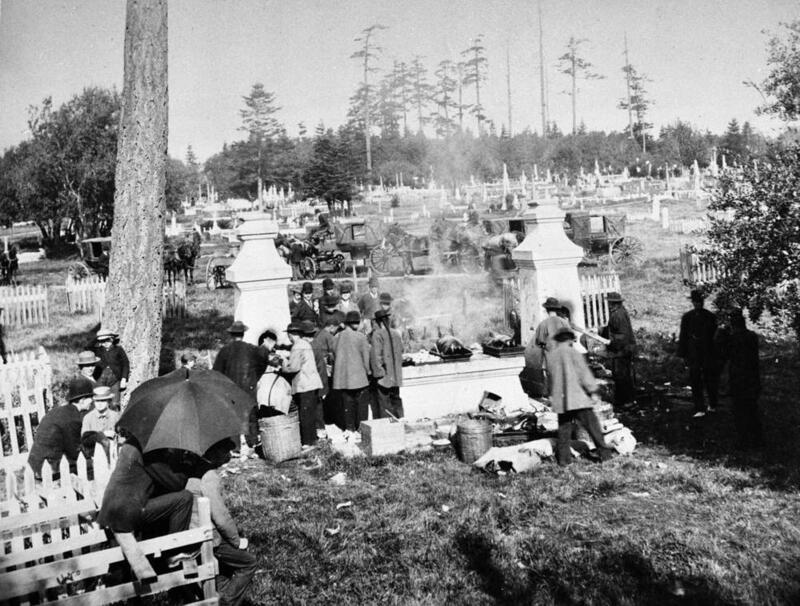 Item D-05257 - Funeral at Ross Bay Cemetery, Victoria. Funeral at Ross Bay Cemetery, Victoria.